I am so excited to be a part of Boston Handmade. Before this, I was the leader of Arts in Rhode Island, the RI Etsy Street Team. However, a recent move to Boston left me high and dry and needing a Etsy team fix. For the past 7 years I have been painting exclusively in acrylics. It's an interesting and sometimes frustrating medium. My style has sometimes been described as "a modern take on Americana" or "modern nostalgic." My subjects include items that have meaning for me, inspiration from books I love, or vintage photos. 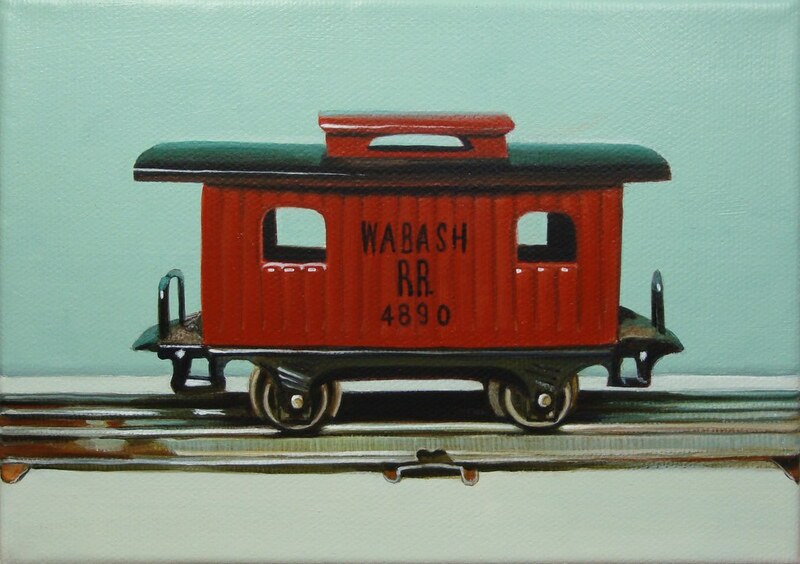 For example, this painting was inspired by the book "Water for Elephants." It's a good book! 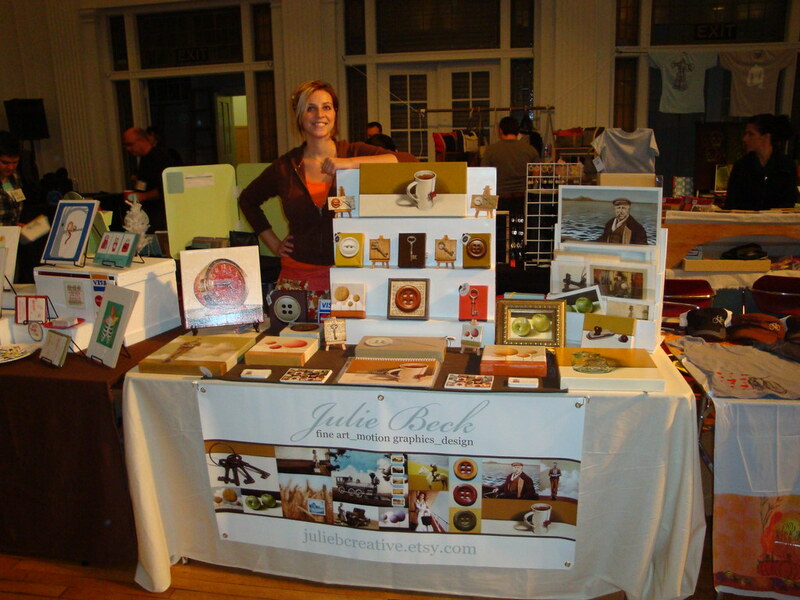 I look forward to seeing you at our next Boston Handmade event! Water for elephants was a favorite of mine. What is the story behind your painting? Wow, you are so talented. I love the train painting at the top, the colors are gorgeous. 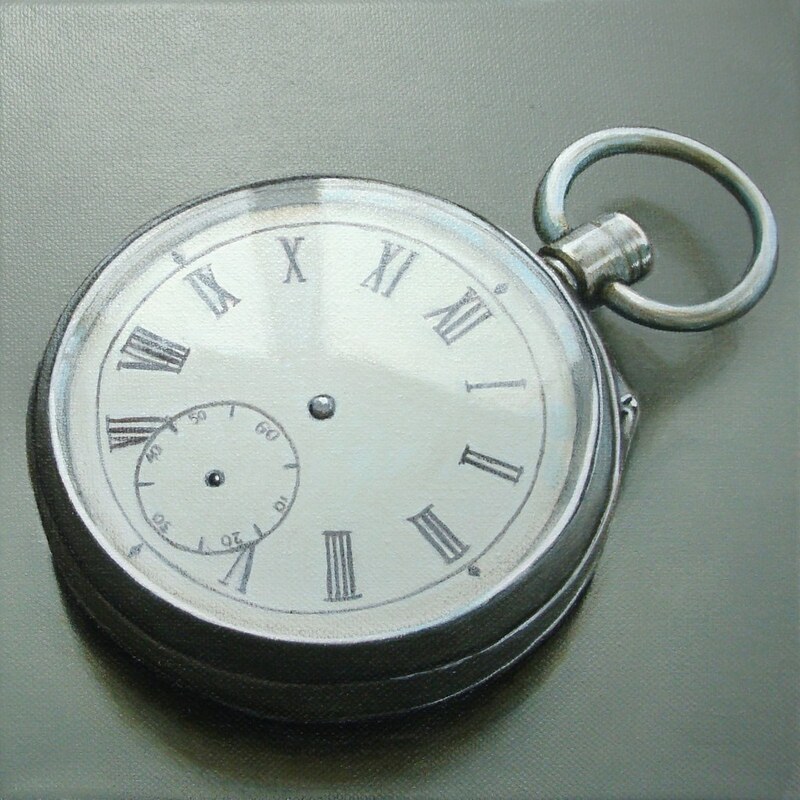 Lisa, the Water For Elephants painting of the pocketwatch is inspired by the fact that the main character sold his pocket watch (his only remaining relic of his parents) to get money so he could buy medicine/help for his friend. I thought it was deeply symbolic that he sacrificed something that had a lot of meaning to him in order to do good for someone else. It as essential to his personality. It is so interesting what we take in from reading and then pondering about that read. Your response has me thinking about the story and remembering pieces I had forgotten. I find that I appreciate art the more I know about the work itself. Thanks so much for taking the time to reply.